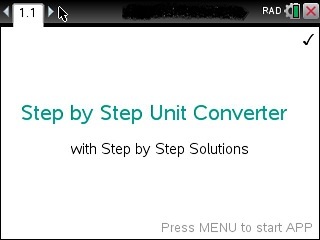 The most comprehensive Unit Conversion APP for TI Nspire CX calculators converting Units step by step. Ideal for quick review in all Physics, Science, Engineering, Chemistry, Thermodynamics classes. Easy to use. Just plug in the numbers and the requested conversion shows.